Everbuying is offering a great deal again to its users, just like they already got us used to. 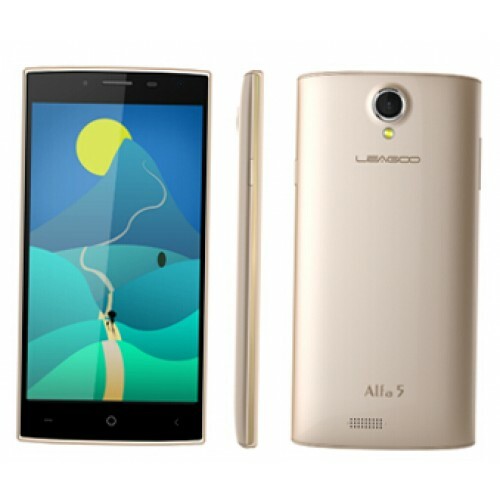 This time they are selling the Leagoo Alfa 5 for only $46.99, instead of its regular $59.99 price tag, which is already quite low. The activity will start at 11:11 UTC on November 11 and it is limited to 250 stocks, which means that if you would like to get your hands on this smartphone, you should be ready to hit the add to cart button as soon as the activity debuts. Of course, if you don’t get to benefit from the Everbuying activity on November 11, you can still buy the Leagoo Alfa 5 for its regular price which is already a quite affordable one, specially for a device with the specs and features of the Alfa 5. The Alfa 5 ad states that this device redefines affordable, and we have to agree with the manufacturer on that. The design of the Alfa 5 is eye-catching, modern and sleek. The squarish edges and the rounded back create an interesting contrast that will make the Leagoo Alfa 5 turn some heads when seen by others. The 5- inch IPS screen comes with a 720p resolution that will deliver clear and crisp images, definitely higher quality than you would expect from a low- budget smartphone. It is also quite powerful for its price range, being powered by a SC7731 chipset, quad- core Cortex-A7 processor clocked at 1.3 GHz and a Mali-400 MP GPU. The Leagoo Alfa 5 offered by Everbuying includes 1 GB of RAM and 8 GB of internal storage which can be further extended due to the TF card slot that supports an additional 32 GB of storage, making it possible for users to carry all their favorite music and videos with them at all times. The camera system of the Leagoo Alfa 5 is comparable to that of some of the higher- end devices released this year, being formed by an 8 MP back camera and a 5 MP front facing camera, with flashlight and the possibility to record videos. These are not the best cameras on the market, but they are definitely more than enough for regular users who don’t necessarily pretend to shoot professional pictures. Just as many of the more expensive smartphones on the market, the Leagoo Alfa 5 features a gravity sensor and a proximity sensor alongside FM Radio, OTG and a sound recorder. Of course it also has additional features that include GPS, Browser, 3G, Light Sensing, MP3, Wi-Fi, MP4, FM, Sound Recorder, Bluetooth and People. This interesting looking smartphones has quite a big number of features to offer its users, bringing a lot of value for its small price. The Leagoo Alfa 5 runs on Android 5.1 Lollipop so users will have access to all the apps available on Google Play and enjoy the Android experience on their low- budget smartphone. The 2200 mAh battery should ensure a more than decent battery life to the Leagoo Alfa 5, specially since it doesn’t have an extremely powerful processor to drain the battery fast. All in all we have to say that this low budget smartphone has all the features that entry- level users need, even more, it is perfectly capable of delivering everything that a regular smartphone user is expecting from their device. It has a nice screen, enough power to complete all the needed tasks, WiFi, 3G, Bluetooth, A-GPS and GSM connectivity and a reasonable battery that should get you through the day. 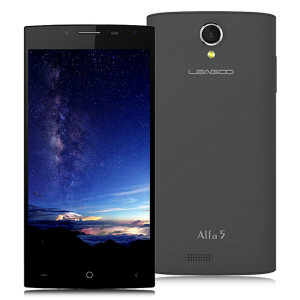 If you like to have a smartphone for its basic features, the Leagoo Alfa 5 might do the trick for you, and you don’t have to spend a lot of money to have the smartphone you need. Visit Everbuying on November 11 starting 11:11 UTC and order the Alfa 5 for the incredibly low $46.99 price. If you don’t manage to be one of the first 250 to order the Leagoo Alfa 5 offered by Everbuying, you can still purchase it for its regular price which is already quite affordable.